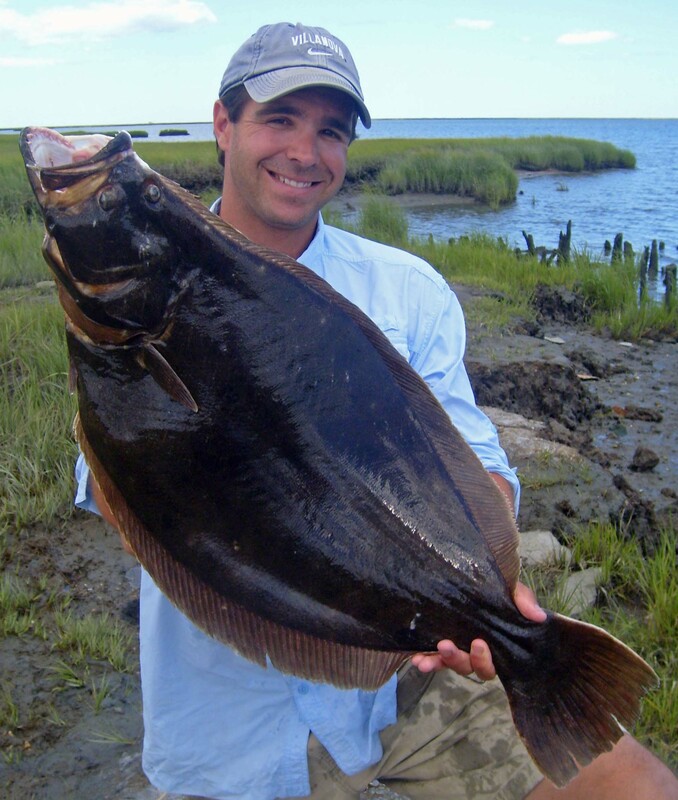 14lb 5oz Summer Flounder - Atlantic City fishing charters! Catch an ocean or back bay doormat! 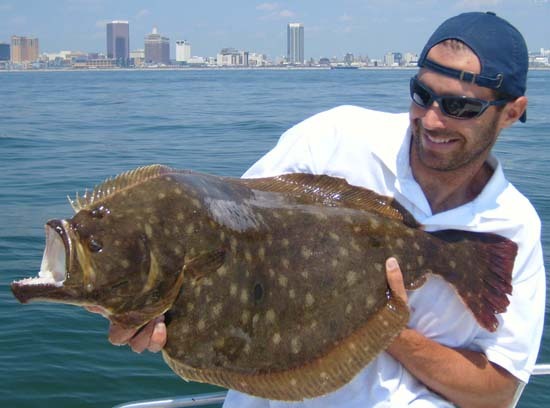 Brigantine & Atlantic City Fishing Charters At Their Best! 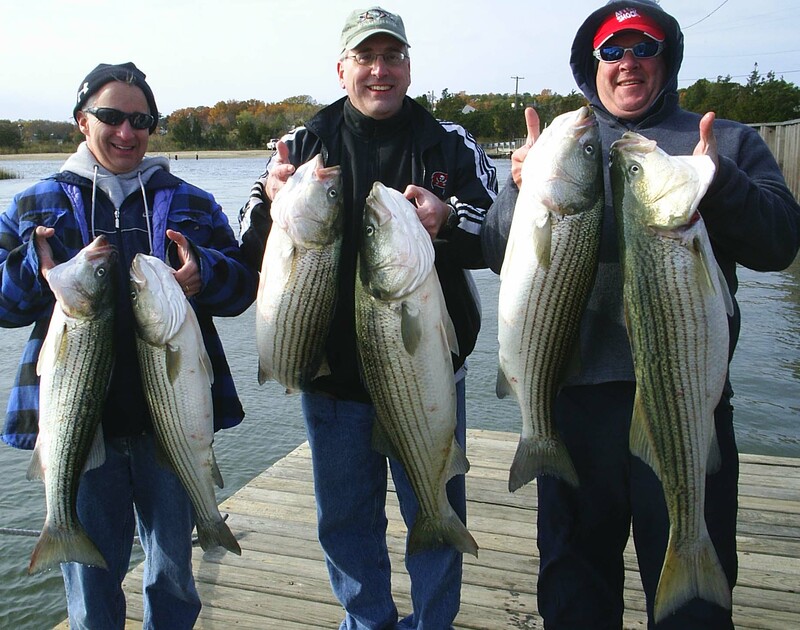 Step aboard and experience some of South Jersey's most exciting fishing with Time Out Charters. Captain Scott Newhall is committed to providing you with a successful day of reeling in the powerful gamefish that cruise local waters. 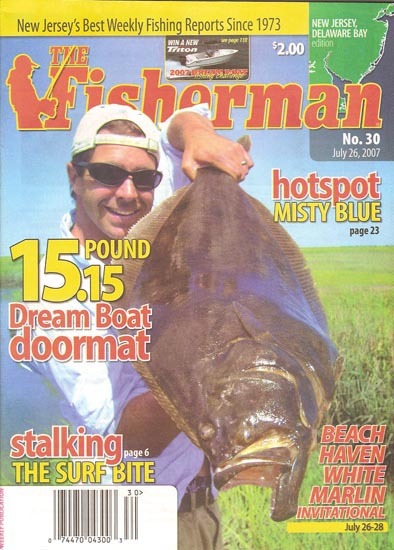 Feel the exhilaration of setting the hook on a doormat flounder as it doubles over your rod or hold on tight as a huge striped bass peels away line and sends the drag singing that wonderful tune. Capt. Scott fishes for these coveted species and the many others that are available for your angling enjoyment. The catch list includes: a wide variety of sharks, bluefish, sea bass, weakfish, croakers, tautog (tog or blackfish), mahi-mahi, bonito, false albacore, Spanish mackerel, king mackerel, sting rays, stripers and summer flounder (fluke). Time Out Charters sails from Absecon which is just a few minutes from Atlantic City and Brigantine. The waters adjacent to these communities are loaded with hungry fish that are ready to do battle with enthusiastic anglers. The ideal location enables Capt. Scott to access the back bay and ocean fishing grounds that surround this comprehensive list of resorts: Long Beach Island, Brigantine, Atlantic City, Ventnor, Margate, Longport and Ocean City. Spend a day with Time Out Charters and you will be privy to the finest backwater angling the state has to offer. The abundance of creeks, channels and inlets that needle through the natural, marshy landscape hold the trophy fish you are seeking. These waterways are calm and protected, hence you will not become seasick. You can also catch your quarry in the ocean with Capt. Scott. He fishes from just outside the surf to the nearshore/offshore wrecks and reefs where quality fish take up residence. Sunken ships that met their demise in maritime disasters such as storms, collisions and war are hot spots for big fish. In addition, Capt. Scott fishes structure placed strategically by man in the form of the Little Egg Reef, Atlantic City Reef, Great Egg Reef and the Ocean City Reef. The numerous pieces of proven fish-attracting structure that lie on the ocean floor can be depended upon season after season to produce tremendous results. safe and memorable Atlantic City fishing trip. 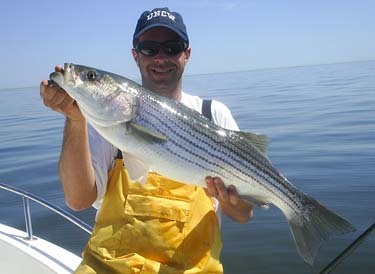 Catch Striped Bass Like This On Your Brigantine Fishing Charter! 15lb. 2 oz. fluke - Atlantic City Fishing! Brigantine Fishing! Look at the doormat flounder you can catch in these waters! South Jersey fishing produced 48 pound striped bass. 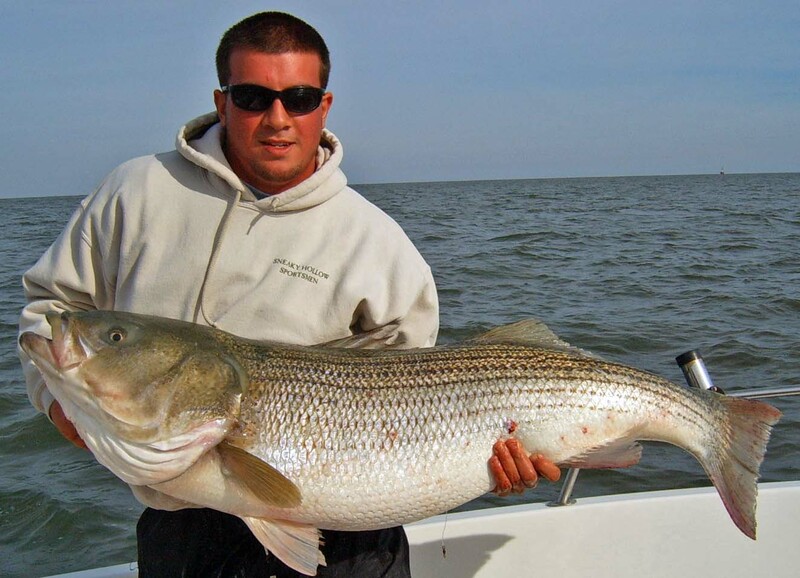 Atlantic City fishing charters! Do AC Fluke! "BEST BOAT TRIP FOR PEOPLE WHO WANT TO CATCH FISH"
Captain Scott is a proud ambassador for Pure Fishing and its quality fishing brands. Captain Scott Newhall is a pro staff member for Bimini Bay Outfitters and Tsunami fine fishing products. 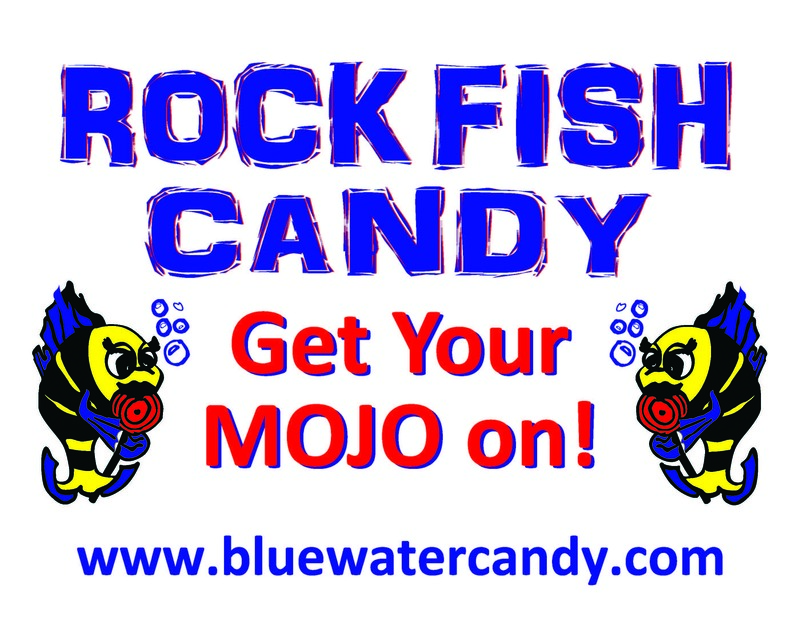 Captain Scott Newhall is an ambassador for Bluewater Candy and its striped bass-slaying mojos! Captain Scott Newhall is a proud pro-staff member for Tony Maja Products. Captain Scott Newhall is an ambassador for Waterproof Charts.